If you are a non-citizen charged with a crime, you need to be very careful in resolving your case. Even minor criminal charges can have devastating effects on immigration status. The primary goals of the Nashville Defenders New Americans Project are to inform our non-citizen clients about all potential immigration consequences and then try to resolve the case in a way that minimizes those consequences. 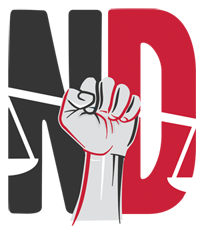 If I am not a lawful resident of the U.S., can the Public Defender’s Office still represent me? YES!!! We do not turn anyone away for lack of immigration status. We represent indigent people with criminal cases in Davidson County. All clients must meet our income guidelines in order to qualify for a public defender or an appointed attorney. YES!!!! Especially if you are a non-citizen, it is absolutely critical to have a lawyer who can protect you and defend your rights. Before going to court, you should either come to the Public Defender’s Office to see if you qualify for a public defender or an appointed lawyer or you should hire your own lawyer. If you are represented by an appointed lawyer or a privately retained lawyer, make sure to ask your attorney about the immigration consequences of your case. Is it safe for non-citizens to go to the courthouse? Usually, yes. On occasion, ICE does appear in the Nashville courts to target specific defendants. Talk to your lawyer if you have specific immigration issues that you believe may put you at a higher risk. Remember that if you have a court date but you do not go to court, you will get a warrant for failing to appear and the police may come looking for you. Is it safe for non-citizens to call the police? If you are in danger or are the victim of a crime, you should call the police. The Nashville police are here to serve and protect all of us, regardless of race or immigration status. The Nashville police do not usually communicate with ICE, but the jail does. If someone is arrested and taken to jail, their information will be sent to ICE and ICE will likely place a “detainer” if the person is not lawfully present in the United States. My loved one is in jail. What should I do? If your loved one is a non-citizen at risk of deportation, you should try to make the bond as soon as possible! It is critical to pay the bond and get the person out of jail before an ICE detainer is put in place. Once there is an ICE detainer, you will not be able to get the person out of jail on bond. What is an ICE detainer/ICE hold? An ICE detainer means that an Immigration & Customs Enforcement (ICE) officer has asked the Davidson County Sheriff’s Office (DCSO) to hold you for immigration reasons. Instead of being released from jail when the criminal case is over, the person will be switched to “immigration inmate” status. ICE usually then transports the person to the immigration detention facility in Jena or Pine Praire, Louisiana where the person is processed for deportation. What does an ICE detainer mean about bond? When an ICE hold is in place, an inmate will be held in jail for ICE to come pick them up, even if the bond is paid. It is usually not advisable to make the bond for someone with an ICE hold because the person won’t be released from custody and the money will be lost. Once a person is in ICE custody, they are almost always transported to Louisiana. The person usually will not be returned to Nashville for upcoming court dates or to resolve the criminal case. What is the difference between a citation and ticket? A traffic ticket means you have violated a traffic law (broken headlights, speeding, no insurance, etc). A Citation is actually a criminal charge saying you have broken a criminal law. With a traffic ticket, you can either send in money to pay the ticket or you can go to court to fight it. With a citation, you MUST go to court. If you do not go to court, a warrant will be issued for your arrest and you will eventually be arrested and taken to jail. Can the Nashville Defenders represent me on my citation for driving without a license? No. Due to an overload of cases, the Nashville Defenders has begun reducing the cases that we accept. We try to focus on representing people who are in jail or have more serious charges. This means that we can no longer represent people on the citation docket with Driver’s License cases. Do I need a lawyer for my driver’s license citation? It is always safest to have a lawyer, even for a minor charge like driving without a license. Realistically, however, many people do not get lawyers for driver’s license charge. If you are charged with anything other than driving without a license, you should ALWAYS get a lawyer to help you. Even minor charges can have serious immigration consequences! Can the Nashville Defenders represent me in removal proceedings or other immigration matters? No. The Public Defender’s Office is here to represent people facing criminal charges in Davidson County. Through the New Americans Project, we work to avoid or minimize any immigration consequences to criminal charges, but we can’t actually represent people in immigration court or other immigration proceedings.